This is a fundraising event for Fuquay-Varina Downtown Association and features things people love about North Carolina: BBQ, Blues and Craft Beer! Guests are encouraged to sample delicious BBQ, savor a unique selection of locally brewed beer and enjoy live music. Tickets available for purchase the day of event. 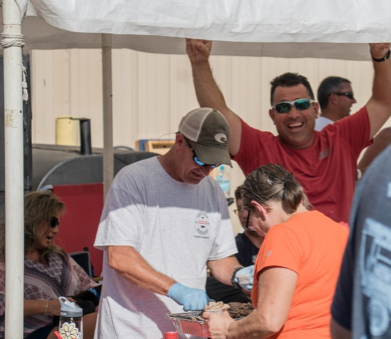 The BBQ always sells out before the end of the day, so come early if you want to sample the best BBQ around!